My creamy Lemon & Cardamom Pudding is the perfect quick summer dessert! This lush & elegant pudding is so easy to make and will impress everyone! Serve it with a dollop of Greek Yogurt! 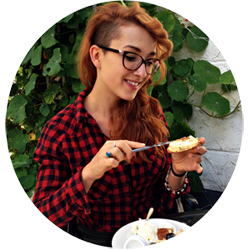 Looking for a foolproof summery dessert for the next dinner party? Look no further! When I cook for a larger group, I like to keep the dessert part as simple as possible! Simple as in pudding – because who does not love a generous portion of comforting homemade pudding for dessert? While I love the classic pudding-flavors chocolate and vanilla in winter, I went with a more summery version this time. A pudding for lemon-lovers with both lemon zest and juice for an extra intense lemon flavour. This lush lemon & cardamom pudding tastes like the filling of a lemon meringue pie. The slight cardamom note takes this pudding to the next level! A creamy lemon pudding infused with cardamom and served with a dollop of Greek Yoghurt – what’s not to love? Lemon desserts are always a winner in our house and we love to experiment with different flavor combinations to keep things exciting. Lemon and cardamom is a match made in heaven and I especially enjoy this combination in desserts like this lemon pudding. The delicate cardamom flavor comes through right in the end and adds a wonderful spiciness and herbal character to the homemade pudding. The best thing about this lemon pudding recipe? It’s quick and absolutely foolproof! You heard it! This lemon cardamom pudding comes together in no time at all! serve your homemade pudding in individual ramekins and decorate with a dollop of Greek yogurt. Now, as you might know, cardamom is not everyone’s favorite. If you want to go with a more subtle cardamom flavor, skip the first step and add your cardamom with all the other pudding ingredients! As we are using the zest and juice of our lemons, make sure you get organic ones and wash them before you zest them! Also, make sure so crack your eggs right before you use them, as egg yolks form a skin in no time at all if left standing on the counter. I really hope you get to try this homemade Lemon & Cardamom Pudding. It is such a rewarding recipe and I am sure your guest will simply love it! Let me know if you have any questions and feel free to leave a comment below if you like what you see. My creamy Lemon & Cardamom Pudding is the perfect quick summer dessert! This lush & elegant dessert is so easy to make and will impress everyone! Serve it with a dollop of Greek Yogurt! Heat up milk with crushed cardamom pots in a medium-sized pot and let come to a boil. Turn off the temperature and let milk cool down to room temperature. This can be done one day in advance! Strain milk through a sieve. For a more delicate cardamom flavour, skip this step and add crushed cardamom pods to the rest of the pudding ingredients in step 2 . Rub lemon zest into the sugar with your fingertips until fragrant. Whisk the lemon sugar and cornstarch together in a medium-sized pot. Add the whole milk and whisk everything until smooth. Add the egg yolks and salt and cook on medium heat, stirring, until thickened enough to thickly coat the back of a spoon. Remove the pot from the stove and stir in the lemon juice and butter. Pour the pudding through a strainer into a large serving bowl or 4 individual serving dishes. Let the lemon cardamom pudding cool to room temperature. Chill, loosely covered with cling film, for at least 3 hours and up to 3 days, until set and thoroughly chilled. Serve decorated with a dollop of Greek Yogurt. You can make this pudding up to three days in advance! Sometimes liquid gathers on top of your pudding when chilling it for a longer time. Just pour it into the sink and stir the pudding once again until smooth. For this reason, for longer chilling times, I suggest storing the pudding in one bigger bowl as opposed to individual serving dishes. 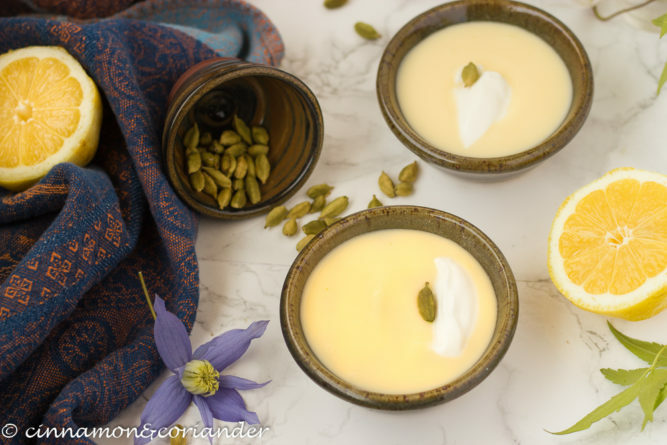 Do you like my recipe for Homemade Lemon & Cardamom Pudding with Greek Yogurt? Pin it! I love anything with lemon and this is going on my list to make! Thanks for sharing! Thanks so much, Analida! I am sure you will enjoy it! Thanks so much, Karen! The cardamom works really well with all citrus fruit but lemon might be my fave! Thanks so much for stopping by! Summers my favorite flavor is lemon. I can survive on a lemon pudding.This recipe sounds easy to prepare.I am surely trying this one out soon. I love anything lemon and this sounds like an incredible pudding my kids would love. So easy to make. The flavor of cardamon sounds so exotic. Can’t wait to try. Thank you so much, Veena! Yes, this is definitely one to share with the whole family! Have a great weekend! 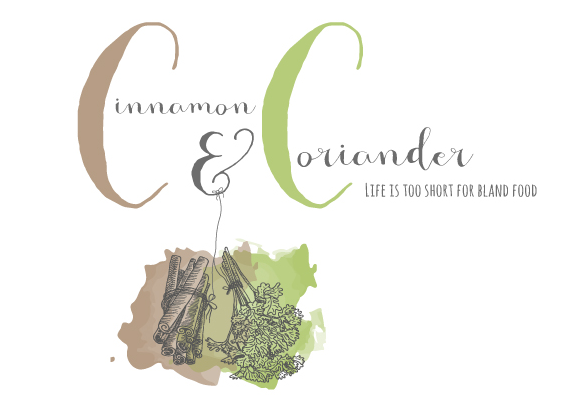 Cardamom brings a great flavor and scent to food,love this recipe. YES! Cardamom is one of my favorite ingredients for both sweet and savoury dishes! Thanks, Prasanna! This pudding is perfect for summertime. These desserts are perfect for a warm night when you want something sweet. Exactly! Thanks so much , Sharon! YUM!! What a great sounding dessert. I really adore anything with lemon and make it smooth and creamy I’m in absolute heaven! I haven’t done too much with cardamom but this pudding would make a great start. Thanks Marisa! The pudding tastes wonderful without the cardamom as well. There are many, who do not like cardamom so I made sure you can leave it out! Have a great Sunday! This looks so tasty! I love making homemade puddings, and I bet this one wouldn’t last long. Gorgeous photos, too! Hi Kimberly! Thanks so much! I really enjoy making puddings myself! So easy and everyone loves them! I am sure you would like this one as well. Thanks for stopping by! This sounds amazing! Cardamom is one of my favorite spices. I love to pair it with blueberry but haven’t thought of trying lemon yet – can’t wait to give this a try. Thanks, Julie! It is one of my favourites as well. Yes, blueberries and cardamom are a match made in heaven! I hope you get to try the combination with lemon soon! This is such a lovely combo. Looks so delicious. Saving it for later. That’s great! Happy you like it. Have a good week! This looks like a terrific option for summer dessert! I can’t wait to try your recipe! There is nothing like homemade pudding!! Agreed, nothing beats a homemade pud! Have a great week! This looks so chilling and light. Perfect for summer!